I love your site, thank you for sharing it!!! This is very well made! It is beautiful. Interestingly, you made an identical granny hex as this blogger: peasinapodclub.blogspot.com/2013/05/granny-hex.html. Thanks for the heads up. That blogger took my image for her blog (my post is dated much earlier than hers). I replaced that image with one with text on it, so that can’t be done as easily in the future. I don’t always remember to put text on all my images, this will remind me. Couldn’t you make more “rounds” and create a potholder or trivet with this? Love your blog and your email alerts. They are so carefully explained. Thanks again. Well yes, yes you could. Part of what I love about crochet, the endless possibilities. 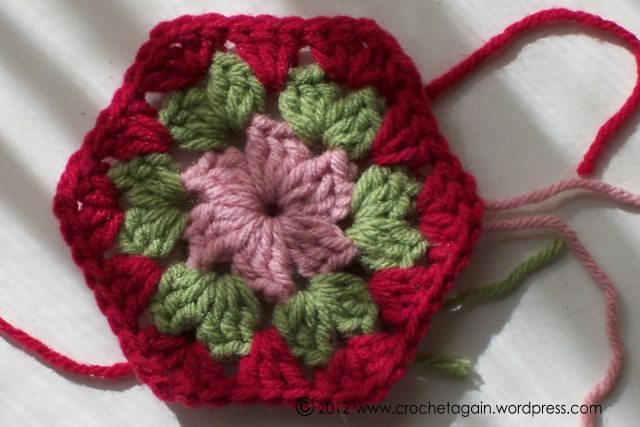 Have used your hexagan granny square. 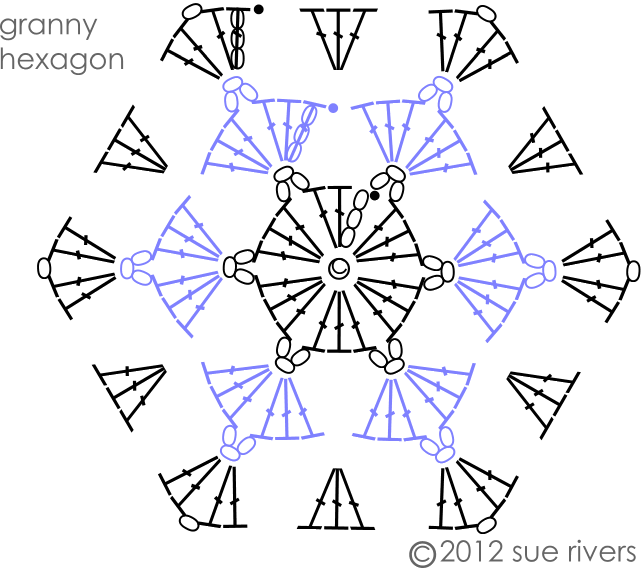 Do you have a diagram for half a hexagan granny square? No, sorry a half of a hexagon isn’t something I have worked out with that hexagon. can you please share half hexagon ? Love hexagons and granny squares! This made my night! I love your hexagon pattern. Thank you for the pattern and the very helpful diagram. What is a slide ring? Ive never heard of a slide ring. Do I have to use the slike rulr? How would I go about making just one huge hexagon? Would I just keep repeating the last round? Or the last two rounds? I have never made it larger, so I don’t know how you would need to adjust so it remains flat. 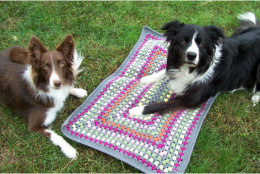 Just curious…how many granny hexagons would you make to make a throw blanket. A pattern that I have says around 50 but I’m using your pattern so I’m wondering what you’d suggest. Thanks! I have no idea. You could make some and measure them to give a rough estimate of how many. I do love hexagons. This one is lovely and the diagramme a great help! Thank you. Sorry, this is all I have right now. I think a join as you go would be a bit different than with squares, because you have extra points. But then, you would only need to do along a couple edges, so it should work fine. I stitched my hexagons together, so didn’t work it out. Such a cute little hexagon. Gonna give it a try. Do you have any tips for crocheting the ends in when you change colour as you go or do you sew them in at the end. The thoughts of sewing all those ends though! For something small like this, I think I would weave them in when I finished each hexagon. Might leave a long enough tail on the last round to sew the hex’s together, if that is how I wanted to join them. I think I would try 5 to start and see how it worked for me. Just found this on pinterest. What size hook did you use? I used the recommended size for the yarn I was using.